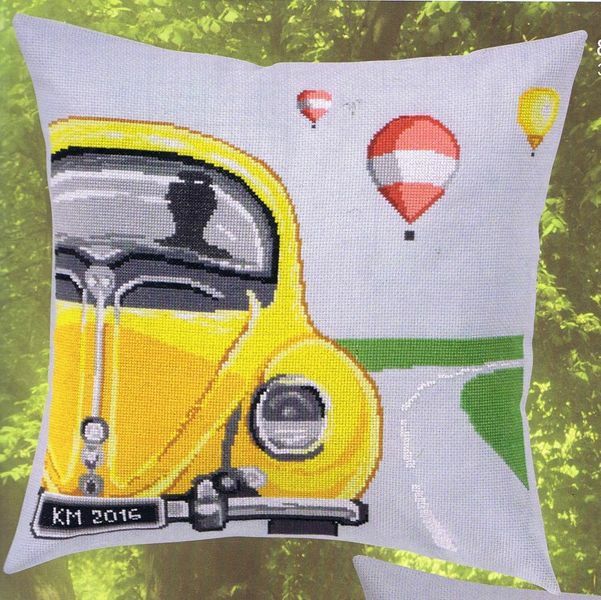 A bright yellow Volkswagen Beetle driving along a road with hot air balloons in the sky in this brightly coloured cushion. The kit has large scale black and whote charts printed 10 stitches to approximately three centimetres on four A3 sheets each with key. The pattern is worked in whole cross stitch only using 14 shades of stranded cottons sorted onto cards. The stitch count is 350 by 350.